Maybe you’ve stolen a mum moment today to sit with your phone then found yourself thinking about how cute bunnies are, and wishing you had 10 extremely adorable ones to gaze at right this very minute. Well, we’ve heard your silent prayer. 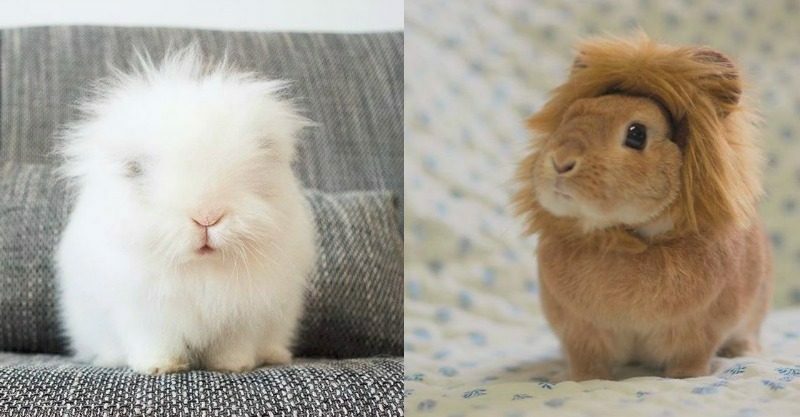 These 10 bunnies couldn’t be cuter if they tried, and they may just inspire you to ditch the chocolate and get a real Easter Bunny as a pet this year instead. At the very least, you’ll want to follow these fluffy balls of love on Instagram.
. Caption this #tongueouttuesday 😋 . Bunny brief: The adventures of three very photogenic house rabbits – Milla, Stella and Princess – living cage-free in Sweden. Follow factor: Their cuteness is out of control – those faces! That fur! That tongue! Just try and look at these pictures without running to the nearest pet shop. Bunny brief: DJ Bunny Puff appears to be some kind of bunny breeder (or at least they have heaps of them). Whoever they are we like them. This feed is seriously puffed up with photos of super cute bunnies. Tomorrow is a new week, full of new opportunities…to get more treats! As you can see here Ginny is using the Look 'em & Hook 'em technique: 🐰😳📡= 🤤🙌🏼🍌🍏🍐🍑🥕🍇🍎>🐰. It's guaranteed to turn your hoomin's already mushy brain to complete slush, making them fully susceptible to relinquishing ALL da treats! Bunny brief: Ginny is an adopted rabbit with a disability. The adorable little soul has a permanent head tilt but it doesn’t stop her from frolicking around with the best of them! Follow factor: Look at that face! Not only is this special little bunny off the charts in cuteness, but other sweet bunny buddies make regular appearances in her photos too. Lots of people have been asking about Suki. She’s very shy in front of the camera so I’m careful not to take too many photos. Here is one of her and Otis. I have so many great ones of her from the summer – winter lighting makes it so hard to take new photos when I’m working during the day! I’ll post more from my summer archives. Her photos are truly “utopian” for a bunny who doesn’t like the limelight! Bunny brief: Fluffy English Angora rabbits with haircuts that make them the envy of bunnies everywhere. Sadly, Wally is no longer with us, however, Otis loves hogging the limelight alongside Suki, who is a little more camera shy. Molly is their mum. Follow factor: For one, they do not even look real! Can you imagine playing with these insanely gorgeous critters all day long? Who needs toys when you’ve got these two! Good luck getting any work done for the rest of the day. Bunny brief: This five-year-old Serbia Male dwarf angora/mix called Pigi was born to be a star. Follow factor: WHERE ARE HIS EYES?! This level of adorableness should be illegal! Hint – you can actually see his ears and eyes when he stands up, but we think he looks pretty rad like this. Bunny brief: Life is fun with a house full of five silly rescue house bunnies: Moo, Oli Potato, Taffy, Bowie and Ellie. Follow factor: Sweet dreams are made of these rabbits. And who are we to disagree. Bunny brief: There appears to be two cute little poppets in this account and their owner likes kitting them out with little outfits and accessories. Follow factor: You had us at outfits and accessories. We will NEVER grow tired of this feed. Bunny brief: Lucas is an English lop indoor rabbit living in New York who loves blueberries, when he’s not doing bunny modelling of course. Follow factor: This big boy has the floppiest ears we’ve ever seen! He seriously could be the Easter Bunny – just sayin’. And check out his adorable twitchy nose! Bunny brief: This follows the adventures of Simba, the Mardy Bun who looks just as rock star as his owner. Bunny brief: Puck the Holland lop from the Netherlands telling it like it is. Follow factor: The puck stops here! Enough with the cute rabbits — although don’t you just love his colouring?! Personality plus, this one. Okay stop trying to pat the screen already and go get yourself a bunny for Easter, stat!